There are lots of new features, and Apple’s Control Center has become modular and customisable. It also brings better Siri, ARKit, H.265, AirPlay 2 and more. Apple updates TestFlight & Swift Playgrounds for iOS 11’s new tech — In conjunction with the release of iOS 11, Apple has also released new versions of TestFlight and Swift Playgrounds, redesigning the former’s interface and adding an things like an Augmented Reality challenge to the latter. OmniFocus update exploits powerful new features in iOS 11 — The latest version from the Omni Group updates for iOS 11 compatibility, but also takes advantages of changes to Siri and adds drag and drop. How to find the 32-bit apps on your iPhone or iPad that won’t work in iOS 11 at all — The day has come: Apple will disallow 32-bit apps from running on iOS 11. 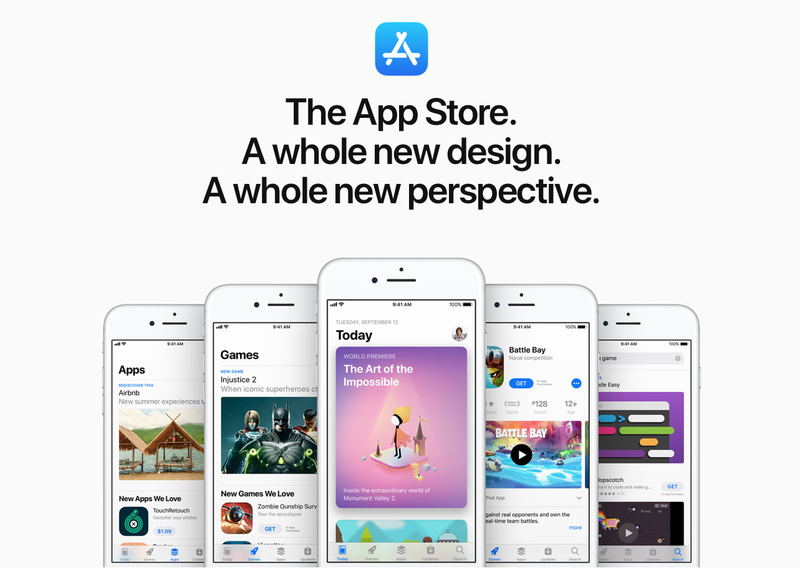 If you haven’t updated because of worries of incompatibility, AppleInsider shows you how to identify which apps installed on your iPhone are 32-bit allowing you to decide if you want to upgrade or wait. iPhone 8 wireless charging speed will improve with future firmware update from Apple — At launch, the iPhone 8 will recharge via inductive wireless technology at a rate comparable to the standard 5-watt charger that ships with the handset. But Apple plans to improve that speed with a future software update. Fun in PCalc — A new update for the app uses iOS 11’s ARKit feature to bring augmented reality into your number-filled world. Just tap the info button on the calculator keypad, choose Help, then tap About PCalc. Once you see the floating 42 badge tap anywhere on the screen to bring up the AR controls so you can throw marbles, dice, and bananas into your virtual world. Apple launches tvOS 11 for Apple TV, adding live news & sports in TV app — As promised Apple on Tuesday released the finished version of tvOS 11, build 15J381, an update for fourth-generation Apple TVs that brings mostly evolutionary improvements, the most significant being groundwork for live news and sports features in the TV app. Apple has rolled out tvOS 11 with AirPlay 2, which offers multi-room audio support. It also includes the ability to automatically switch between light and dark interface modes. TV availability in tvOS spreading — Apple began the rollout of TV app in Australia, Canada ahead of iOS 11 & tvOS 11 debut. 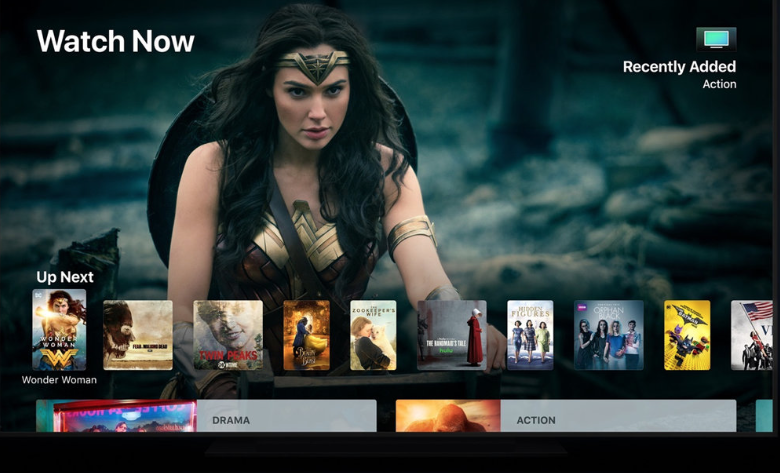 tvOS 11 release, which will deliver the one-stop streaming hub to seven additional countries later this year. Apple is expanding availability of the TV app to seven countries — Australia, Canada, France, Germany, Sweden, Norway and the UK — by the end of 2017. Apple TV owners running the latest tvOS software in Australia [which may include NZ, does anyone know? Since NZ is administered mostly from Sydney] and Canada discovered the TV app, or at least its icon, on their home screen earlier today and took to Twitter to note the the change. On fourth-generation Apple TV units, the TV app seems to be a placeholder instead of a functional app, but its presence hints at an imminent release likely timed to coincide with tomorrow’s iOS 11 and tvOS 11 launch. The TV app acts as a central hub for browsing, discovering and managing streaming content across a variety of providers and owned media. Apple launches watchOS 4 for Apple Watch with improved Activity & Workout tracking, revamped Music app, Siri watch face — The Apple Watch interface has been refined and improved with today’s launch of watchOS 4, including a new vertically scrolling app dock, the ability to view installed apps in a list view instead of grid, and new watch faces including a Siri smart assistant and characters from the iconic “Toy Story” films. watchOS 4 no longer lets you browse iPhone music library on your Apple Watch — In a major change to how the Apple Watch operates, users can no longer browse their iPhone’s music library after updating to watchOS 4, and instead can only view songs stored on the watch itself. Hands-on with Apple’s iPhone X — Daniel Eran Dilger has seen an iPhone X ‘in the flesh’. Apple released its first major iPhone redesign in three years on Tuesday with iPhone X, a technologically advanced smartphone that boasts an all-new OLED Super Retina Display, TrueDepth camera system, Face ID, A11 Bionic Chip with onboard neural engine and more. AppleInsider went hands-on with Apple’s newest flagship and came away impressed by the handset’s fit and finish. TechConnect has compared it to the even bigger Samsung Galaxy Note 8. Apple’s iPhone 8 pre-orders will start at 12:01am US Pacific time on Friday — This Friday’s iPhone 8 preorders will start at 12:01am US Pacific time, or 3:01am US Eastern, Apple has confirmed via its website. The time is consistent with Apple’s normal iPhone strategy, and will likely see many US shoppers staying up late to ensure they get an order delivered on the phone’s September 22 ship date. Frequently, launch-day iPhone stocks will run out within hours or even minutes of pre-orders beginning, though later orders may still ship the same weekend. Apple’s AirPower Charging Mat, Wireless Charging AirPods case — Apple’s surprise products at its ‘Let’s meet at our place’ event were a large wireless charging plate for its new products, and an AirPods wireless charging case. Since they have the Qi standard, this was praised by the Wireless Power Consortium. 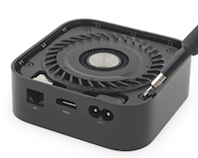 Apple deletes USB-C troubleshooting port on Apple TV 4K, adds Gigabit Ethernet — The new Apple TV 4K is getting faster network connectivity with the addition of a Gigabit Ethernet port, but Apple has also removed the USB-C port previously used for troubleshooting and screenshot capture. 5 reasons to buy Apple Watch Series 3 — There are a few stand-out Apple Watch Series 3 features that you absolutely must have. When Cupertino announced the Apple Watch Series 3, we were inundated with details about the new wearable device. Because of that, you might not have noticed the really cool things the latest Apple Watch is capable of. Let’s take a look at what’s really great about this third-generation Apple Watch. This will also help you see why it’s time to buy an Apple Watch Series 3. Also note that Apple Watch Series 3 boosts minimum required device to iPhone 6 for initial setup. The iPhone X was the ‘But wait, there’s more’ moment: before that, Apple introduced iPhone 8 — This new iPhone a new glass front and back, with an aluminum trim around the sides. It is a very durable glass, and microscopically sealed for water and dust resistance. Of course, the camera has been improved! A new 12MP sensor is in the iPhone 8, and two sensors are found in the iPhone 8 Plus. Apple has added a feature called Portrait Lighting to the iPhone 8 Plus. It provides lighting effects for photos in real time, and the effects can be changed after you’ve taken the photo. Video will now be 4K 60 frames per second (or 1080p 240 frame per second slo-mo), and 2 million image tiles are analyzed each second. As you are shooting, the video is analysed. 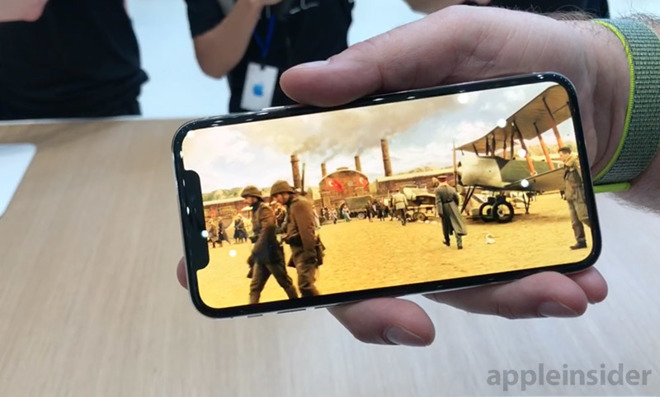 Augmented reality is a huge area for Apple, and today Phil Schiller noted that the iPhone 8 is the first smartphone optimized for AR. MLB AtBat will actually superimpose player stats onto players in real time. Amazing stuff! Several other AR apps were demonstrated during the show. As expected, the iPhone 8 will support wireless charging using the Qi standard. Qi chargers will be sold in the Apple retail stores. 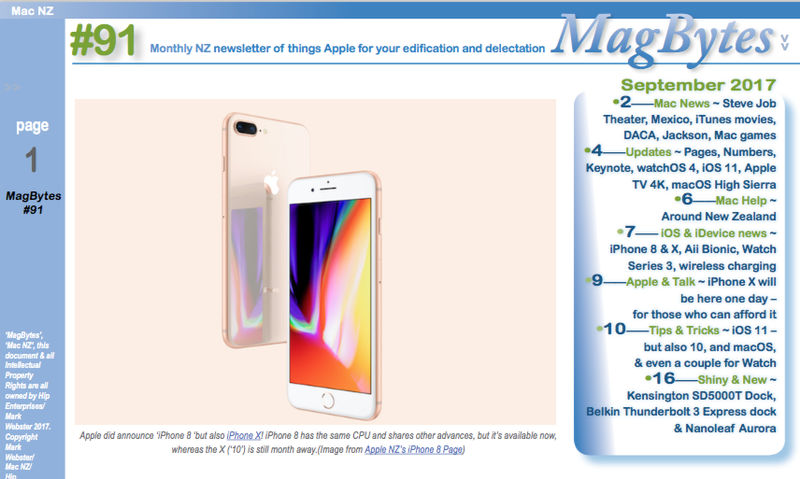 It will be available in 64GB and 256GB configurations, with the iPhone 8 starting at NZ$1249/US$699 and the iPhone 8 Plus available at NZ$1449/US$799. 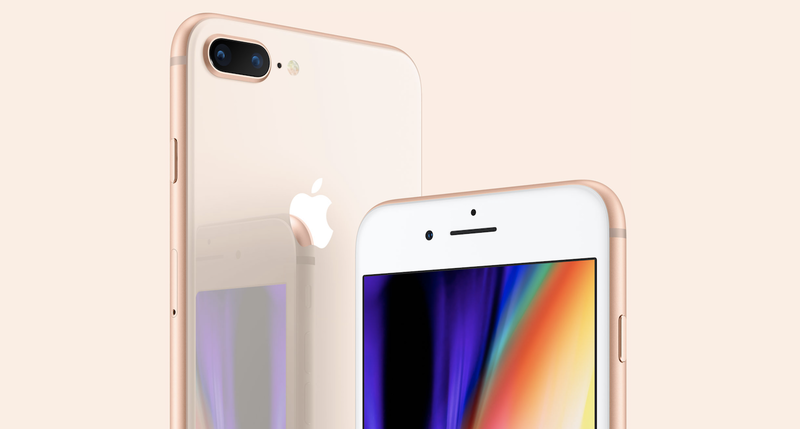 The ‘iPhone 8’ will have to displace the iPhone 6S to become the world’s most used smartphone — According to ScientiaMobile, the upcoming iPhone 8 will have to displace the iPhone 6s to become the world’s most used smartphone. The research group’s Mobile Overview Report (MOVR) notes that the iPhone 6S was the most used smartphone model in the world despite the iPhone 7 launch in September 2016. Despite, iPhone 7 (above) was the best selling smartphone in the first quarter according to the latest research from Strategy Analytics. The research group estimates that Apple shipped 21.5 million units and captured 6% marketshare worldwide in the first quarter (Q1) of 2017. Apple’s iOS 10, Siri & HomeKit bring accessibility to a quadriplegic man’s entire home — Todd Stabelfeldt has been paralyzed from the shoulders down since a gun accident at age 8 severed his spinal cord, leaving him confined to a wheelchair as a quadriplegic. Using iOS Switch Control, Todd has gained new abilities and independence through accessible technology. And now, using HomeKit and Siri, his entire home has become accessible. Why latest iOS update is a must-have — This week’s iOS 10.3.1 update might have seemed anticlimactic by comparison to the original 10.3 update, but a quick look at the security notes issued for the update shows a very good reason why every owner of an iOS device running 10.3 should install the new update immediately. But Apple has warned iCloud users some services may get accidentally reactivated with iOS 10.3 [so you just deactivate them again]. 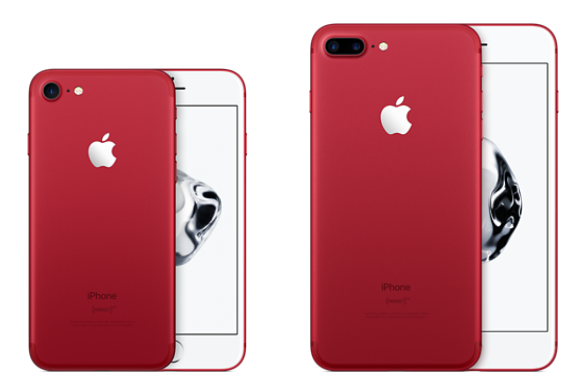 Don’t Look for iPhone 8 until October or November — Apple’s iPhone 8 may not ship until October or November instead of the September window we usually see. 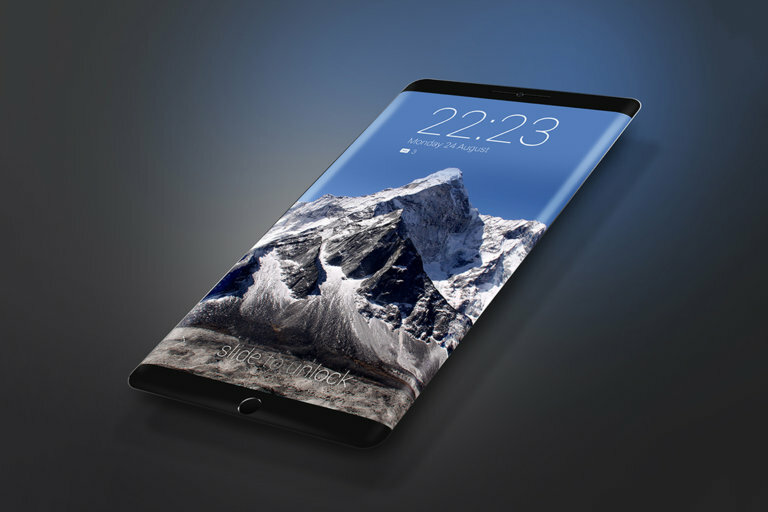 The reason for the later launch may be tied to production problems with the smartphone’s curved OLED display. Apple World Today Video Tip shows how to create a new checklist in Notes on an iPhone with 3D Touch — Checklists are a wonderful way to organize tasks and then make sure they’ve been accomplished, and the Notes app on the iPhone is a handy tool for keeping track of those tasks as soon as they’re completed. In today’s video tip we show you how to use 3D Touch on an iPhone to quickly create a new checklist. Apple said to diversify Apple Watch manufacturing duties as sales expand — Apple Watch is currently manufactured by one company, but that’s reportedly set to change in the latter half of this year, when Apple is rumored to bring on a second partner to build the flagship Series 2 model. Scania brings Apple’s CarPlay to semi trucks for first time — A Swedish manufacturer, Scania, on Wednesday announced plans to build CarPlay into some of it heavy trucks, marking perhaps the first time Apple’s platform has been integrated into non-consumer vehicles.